La Vie Bohème! | The Eye of Faith Vintage 11.11.11. Feb 1. 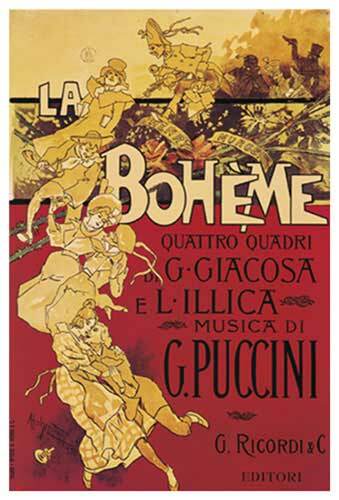 2012 marks the 116th Anniversary of the World Premier of La Bohème in Turin, Italy. Written by Italian Composer Giacomo Antonio Domenico Michele Secondo Maria Puccini (1858-1924), we call him Puccini for short – the Opera was an instant smash (imagine the “Avatar” of 1896), and quickly spread through Italy, and within a year was embarking on successful tours overseas. 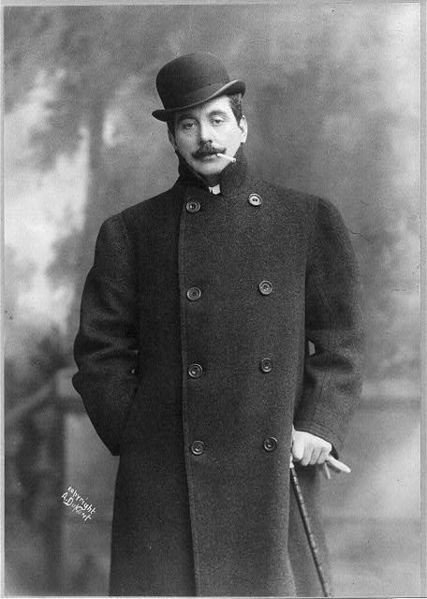 Puccini would have many hits in his days, finding success in the exotic locales and realism portrayed in his works; Madama Butterfly would take his audiences to the shores of Japan, as well as the lush Empire of China (Turandot)– but it would be in the gutters and rafters of Paris that Puccini would showcase to audiences, in a turbulent tale of life, love, and DISEASE in the ‘City of Lights’. Based on Henry Murger’s ‘La Vie de Boheme’- Puccini brings to life the passionate romance of seamstress Mimi, and dashing poet Rodolpho as they court eachother in the bohemian world of Paris’ Quartier Latin. It all ends tragically, as most Puccini pieces do…but that doesn’t mean it wouldn’t keep inspiring to this day. 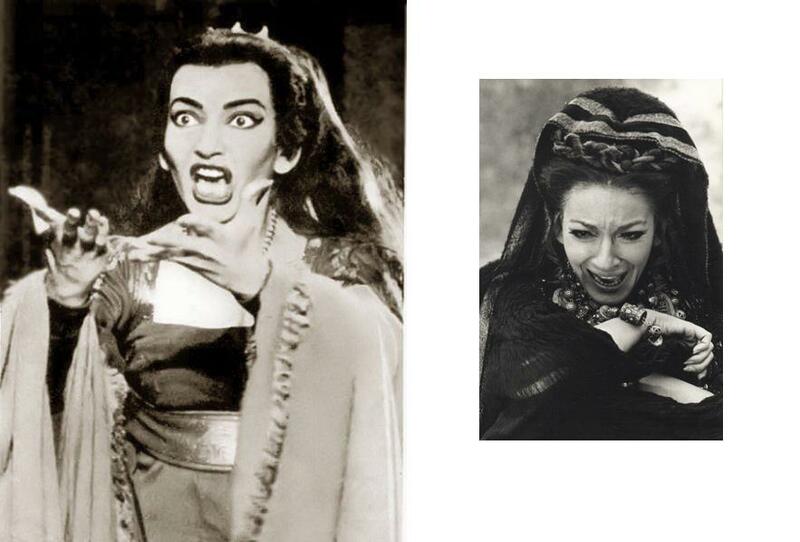 Unfortunately there was no recording of the Opera when performed for the first time in 1896, but luckily, Opera Diva Soprano Supremo (ODSS)- Maria Callas (1923-1977) put her indelible stamp on the opera standard back in 1959. If her name sounds familiar, it’s because she’s the most noted female Opera singer in history (Oh, that’s all). You may even recognize her voice from Tom Ford’s 2009 “A Single Man”, where she was featured on the soundtrack. 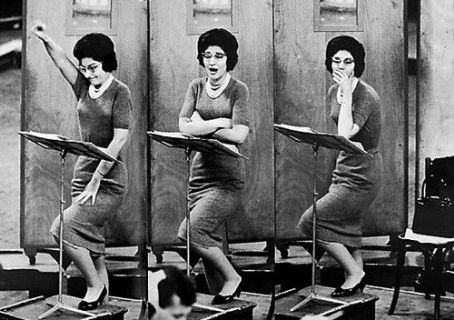 Apart from her voice, Callas is known for her undeniable grace, poise, and ODSS-ness (Opera Diva Soprano Supremo-ness). 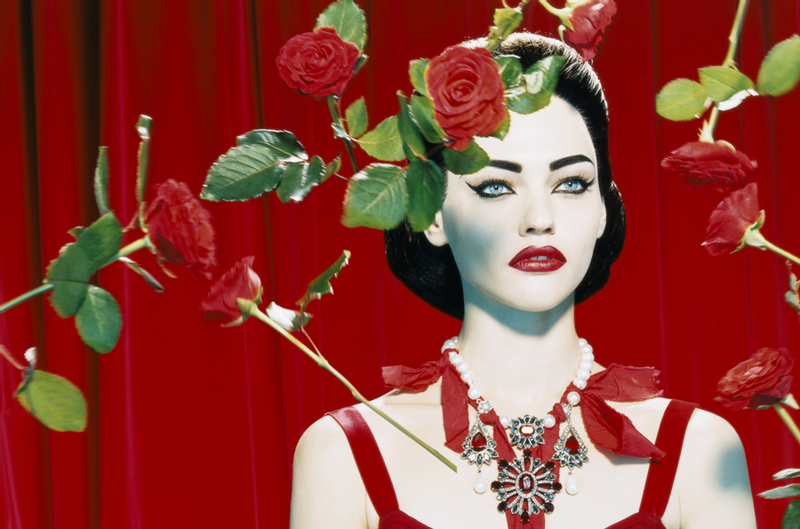 Sasha Pivovarova as Maria Callas by Miles Aldridge (for Numero Magazine). As with life, the hardest parts are the ones we remember and learn from. Even amidst the music, the dancing, the parties, and the friends- all it takes it a case of Consumption to end it all, and you better hope that at least you lived, laughed, and most importantly loved. What do they say in ‘Rent’? Oh right, “La Vie Bohème”! Previous PostBirds of a Feather.Next PostHappy Birthday Sherilynn Fenn!